It was recently announced that another major bedding producer is reducing their workforce by over 100 people. Is it just me or have we been here before? One of the first things to happen when it comes to non-fixed cost is usually a reduction in your sales force but is that the answer? Do you have the “A” players on your team? If you are not effective with your business development it could simply be you have the wrong people, not too many people. I remember when I was at Stearns and Foster and we launched the new line back in 1994. The product was totally new to the industry with an MMAP program that had never been tried before. Gary Fazio, Bob Hellyer, and Kippy Bailey just to name a few, brought our sales team in and with Gary leading the way, (well, he and his puppet Rodney-seriously they literally had a puppet) they convinced us all that this was going to be BIG and they worked hard with the sales organization to make sure we got it and had bought in. He was right and it was a huge success. If your sales force is well trained and hungry they can do just about anything for your business IF you give them the right tools. More sales solve a lot of problems right? Does cutting back service to the customer really help you out? Speaking of product, think about what Stearns and Foster did back then to move the average ticket up in this industry. How about the no-flip mattress? Look at what Select Comfort is doing with technology. A heavy investment and focus on product development can make all the difference. If you don’t have that next big thing why not? Are you doing everything you possibly can with your development process, looking to other industries for inspiration, hiring the very best people you can to bring creative ideas to the table, involving your retailers to tell you what they REALLY need and then actually LISTENING to what they say and executing on that? If you are a retailer and are selling the same products that everyone else is selling, you’re missing out in a big way. If you’re going to do that at least max your margin out with the right lean manufacturer. There is some cool stuff out there if you are paying attention so why not lean into those products or is there some benefit to being like everyone else? If you are a bedding producer and you are not building THAT kind of product I would encourage you to re-think your strategy. I have never understood why companies pull back on advertising, marketing and training when they’re having trouble. Is telling fewer people about your products going to help? Will a reduction in marketing investment help bring those mediocre products to market in a compelling way? Great trainers inspire people to embrace products and teach sales associates how to connect to the consumer in a way that drives the transaction. 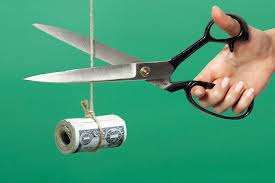 What will cutting the training budget actually do for you? The truth is that if companies really believed what I am saying in this blog, they would likely not be in bad shape to begin with. As for the people that have been downsized, keep your heads up and don’t despair. There is always room in the industry for great people so just dust off the resume, shine up your LinkedIn profile and get to work on your next great adventure. Believe it or not you are on the path you are supposed to be on so make your next move count. If there is anything I can do to help, send me a note. I was recently discussing a very similar topic with an Uber driver of all people in Las Vegas very recently. He had lived in Vegas for 48 years and as we discussed the changes over the decades, he commented that he liked Vegas better when the mob ran it. Perplexed, I asked why that was and his comment was enlightening and relevant to businesses today. Besides the very low crime rate that existed when the Mob ran Vegas, he commented that the mob knew how to get through the lean times without having to turnover employees. He called it the “Give em another meatball” mentality. It was so simple to be memorable yet the principle of it was profound; Improve the customer experience. Now in modern business that cm mean many things, a few of which you mention in your comments. I think companies put themselves in further long term peril when they start cutting staff and I’ve experienced first hand. One of the primary factors that I think for this is that companies have a tendency to under-value tribal knowledge in production and relationship ownership in sales, because neither of those show up on a balance sheet. LOVE the meatball mentality, that is so great and I have never heard it before. I agree with what you are saying about tribal knowledge as well and that one idea has been popping up in my brain a lot lately. It’s hard to understand why these big companies bring in outside leadership that don’t know anything about our industry. I think that an outside perspective is a great thing to have HOWEVER it seems like going outside is automatic these days when a company is “turning things around.” I heard that SSB is bringing in an outside person to be their new CSO which if true, I REALLY don’t get. I can think of five people that would be great in that role and in this industry if you don’t have street cred, it can be a big problem. Thanks for reading Nathan and for your comments.